Wifi issues are everywhere , the hardest part is when clients don't understand that with great pro's come great con's. Lets list both PROS and CONS or the most common at least. Guests need your password to connect to your network. Now that we got the first part lets proceed on setting up our router for wifi transmission. WEP 64 (risky): The old WEP protocol standard is vulnerable and you really shouldn’t use it. WEP 128 (risky): This is WEP, but with a larger encryption key size. It isn’t really any less vulnerable than WEP 64. WPA-PSK (TKIP): This uses the original version of the WPA protocol (essentially WPA1). It has been superseded by WPA2 and isn’t secure. WPA-PSK (AES): This uses the original WPA protocol, but replaces TKIP with the more modern AES encryption. It’s offered as a stopgap, but devices that support AES will almost always support WPA2, while devices that require WPA will almost never support AES encryption. So, this option makes little sense. WPA2-PSK (TKIP): This uses the modern WPA2 standard with older TKIP encryption. This isn’t secure, and is only a good idea if you have older devices that can’t connect to a WPA2-PSK (AES) network. 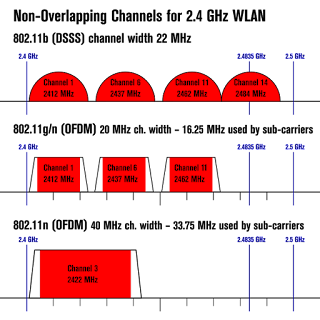 WPA2-PSK (AES): This is the most secure option. It uses WPA2, the latest Wi-Fi encryption standard, and the latest AES encryption protocol. You should be using this option. On some devices, you’ll just see the option “WPA2” or “WPA2-PSK.” If you do, it will probably just use AES, as that’s a common-sense choice. WPAWPA2-PSK (TKIP/AES): Some devices offer—and even recommend—this mixed-mode option. This option enables both WPA and WPA2, with both TKIP and AES. This provides maximum compatibility with any ancient devices you might have, but also allows an attacker to breach your network by cracking the more vulnerable WPA and TKIP protocols. 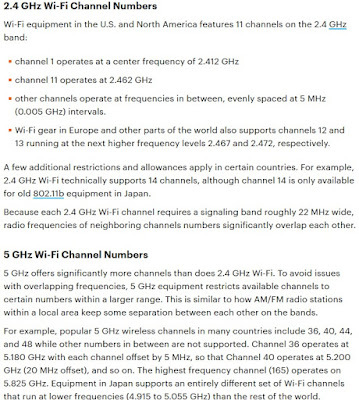 All wifi network equipment including client devices and broadband routers communicate over specific wireless channels. Similar to channels on a traditional television, each Wi-Fi channel is designated by a number that represents a specific radio communication frequency. Wi-Fi devices automatically set and adjust their wireless channel numbers as part of the communication protocol. 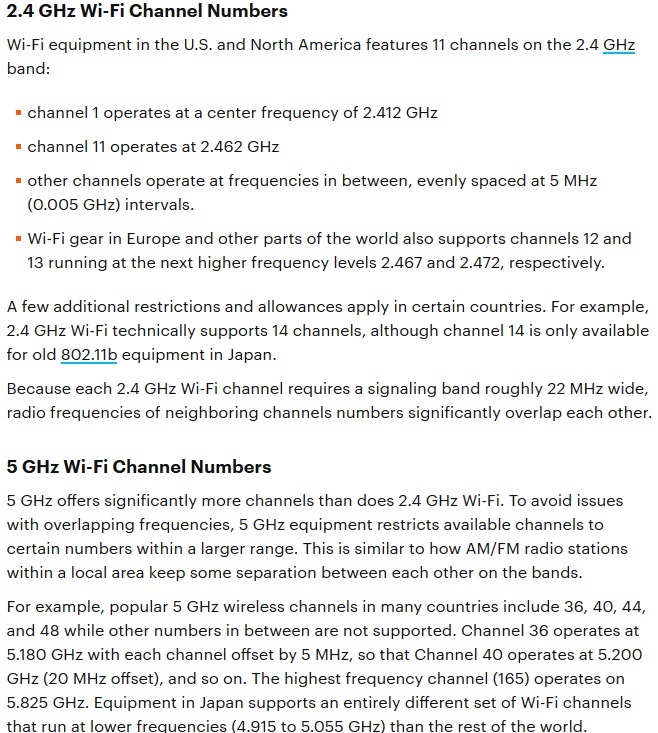 Operating Systems and utility software on computers and routers keep track of Wi-Fi channel settings being used at any given time. Find what channels other modems/routers near you are using by downloading apps like Wifi Analyzer to help you decide what channel has the less interference.